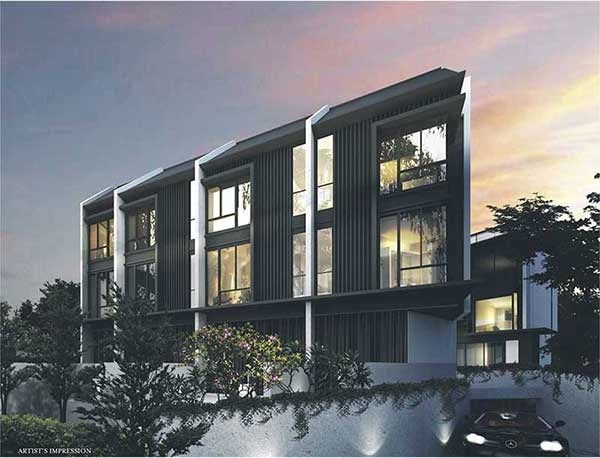 Was travelling along kembangan and saw this new launch property at Jalan Sayang Road. This development is known as Terra Villas with only 7 exclusive units of inter-terrace and corner terrace. Sizes is approximately about 4000 square feet. TOP in 2015. Showflat is however not available and also price is unknown at this moment. However, quiet like this location as here got lots of good food and amenities. Kembangan MRT and Eunos MRT is just a couple of minutes walk away. i personally like the beach. Going to the beach seems to be a breeze. Can go there jog and cycling. Also, realized the landed property especially semi detached easily cost about 5m above for those nearing the beach. Probably a bit out of my budget. Have you also seen this development? What is your review of this property? Terra Villas floor Plans available. *Terra Villas @ Kembangan VVIP Preview is available strictly by Appointment. Showflat opening hours may varies. For opening hours, do call our Sales Hotline at 6100 0877 or register below for your VVIP Preview.